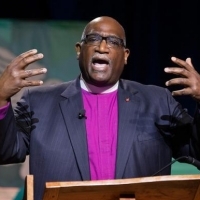 In mid-November, Bishop Palmer will go to seven sites to talk about the called General Conference scheduled for February 23-26, 2019, in St. Louis, MO. Other Conference leaders will team with him in this work. These gatherings will include an opportunity to hear about the key proposals to the General Conference from the Commission on a Way Forward. There will be time for Q&A and sharing your thoughts about the options verbally or in writing.